Tree trimming Long Island plays an important role in order to reduce the chances of hazardous situations especially in our storm prone region. 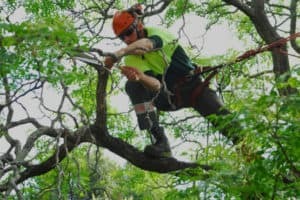 For professional tree trimming services that you can rely on contact Tree King today for more information! Tree King’s leading tree trimming services are one of the most trusted in Long Island. Our company has over 30 years of experience in the industry. We guarantee 100% satisfaction and are well versed with the latest techniques and procedures that pertains to the health and wellbeing of all trees. Why is it important to maintain tree trimming Long Island? Long Island is naturally blessed with beautiful greenery and in order to upkeep the health of these beautiful creations, pruning and trimming is necessary. Long Island also experiences storms which makes our work necessary. If you have trees, our tree trimming Long Island NY service is a must to maintain the safety and beauty of your home. You could go about the tree trimming process on your own, but to be thorough, it takes biological tree knowledge as well as skill to ensure proper safety during the process. Many diseased trees would need to be trimmed and some even removed. We are always here to guide and consult you through the process. Safety first PLUS beautiful results EQUALS tree trimming Long Island’s finest! Trees can sometimes grow in such a manner that they pose a safety risk to the public and would have to be trimmed if their branches are in the way of power lines or growing too close to buildings. When it comes to beauty, our team at Tree King is able to really add a touch of beauty, helping to enhance the natural beauty that already exists with the trees. It’s very important to note that the trimming and pruning process plays a very crucial role to the longevity and well-being of the tree. Being able to source a problem, like the start of a disease before it poses a risk to the tree’s health, or being able to remove hazardous branches is vital. Ensuring the safety of the community, their kids and helping to aid the long-life of a healthy tree is what we thrive on here at Tree King. Tree trimming Long Island can be an expensive task, but with Tree King we ensure excellent prices, 100% satisfaction and great customer service throughout the year. We also cater to other tree services and are available 24/7 for emergencies related to storms. We are looking forward to hearing from you and can assist large commercial and smaller residential properties. We are more than able to take on the job irrespective of how major it may seem and if you think the task is too small for us, don’t worry, we can assist you. If you have a single tree to prune or just a few others, we have you covered. If you’re looking to ensure safety and the longevity of your tree then simply contact us today and we will assist you with all you need when it comes to tree trimming Long Island services. Kepp your trees healthy and disease free with Tree King. Tree King will make the view outside your window look beautiful again. Prolong your tree’s life by maintaining it regularly with Tree King’s pruning services. Having your trees regularly maintained reduces the risk of damage to the tree itself, your home, and your family.